Guyyyyyys. I think my world is forever changed. I’ve hit the mother lode with this Easy Homemade Salsa! You could say that Ben and I are salsa connisueurs. We literally go through at least a jar each week. 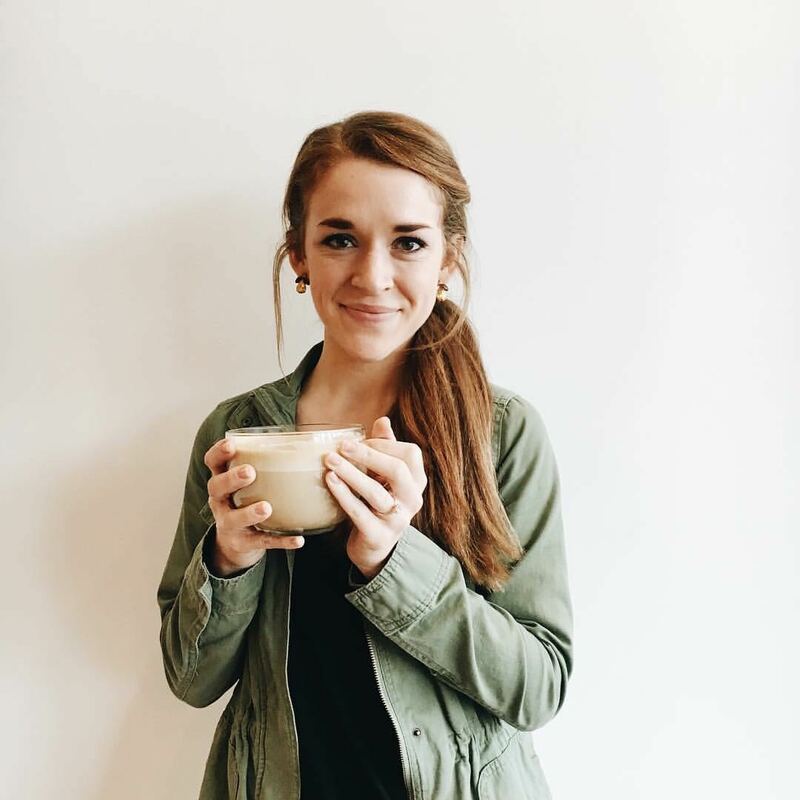 We eat it on eggs, burrito bowls, beans, and most importantly: CHIPS. Big ol’ salty tortilla chips. Like, especially at Mexican restaurants. Sometimes I just want to go in and be like, but, can you just like bring me a margarita (or two) and just keep the fresh piping hot baskets of chips and salsa coming? What a dream. But really though. This salsa, y’all. I had to force myself to leave the room after eating at least 30 chips with it. I couldn’t stop. Ben kept trying to eat the chips AS I was photographing it! I had to almost restrain him 😉 It’s that good!!! That’s it. 6 ingredients. Best part about it? I literally just did a rough chop on everything, threw it in my food processor, pulsed it a few times until my desired consistency was reached and DONE. Where the chips at? 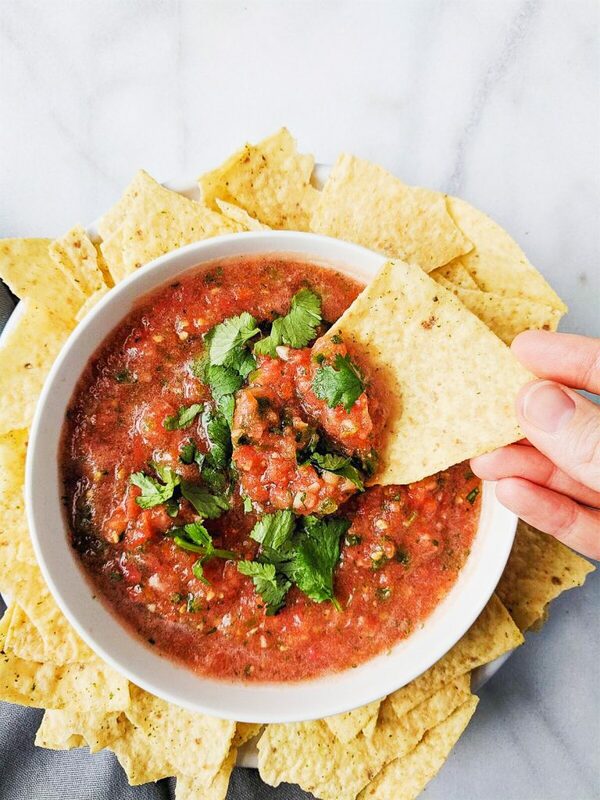 The easiest salsa ever. It’s so juicy, chunky and refreshing. It has bright flavors and a subtle spiciness that will make you want to keep dipping your chips in it for the rest of your days. My mind has been racing on appetizers this whole week for Superbowl Sunday. Not that I go to a Superbowl party to watch the game…it’s purely for the food. And friendship of course! But mostly food! Major heart eye emojis are already happening in my mind for buffalo chicken wings and chili cheese dips and guacamole and allll the cute lil football shaped desserts. I’d say this salsa recipe serves 3-4 people depending on how much you eat! If you’re taking it to a party, I’d suggest doubling the recipe. 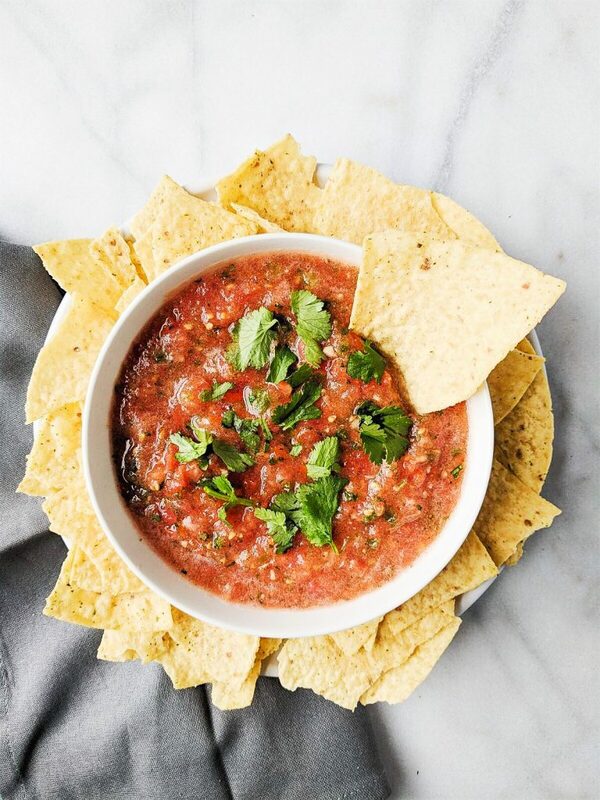 A quick and easy, 6 ingredient, throw into your food processor salsa that's delicious and flavorful! Roughly chop your tomatoes, garlic and cilantro. Chop and deseed one jalapeno (leave the seeds if you prefer it spicy!) Add to food processor. Add in juice of one lime and salt. Pulse until preferred consistency. Garnish with extra cilantro. Serve with chips! If you want to make these even easier, ditch the fresh roma tomatoes and simply use 2 cans of the whole peeled tomatoes. 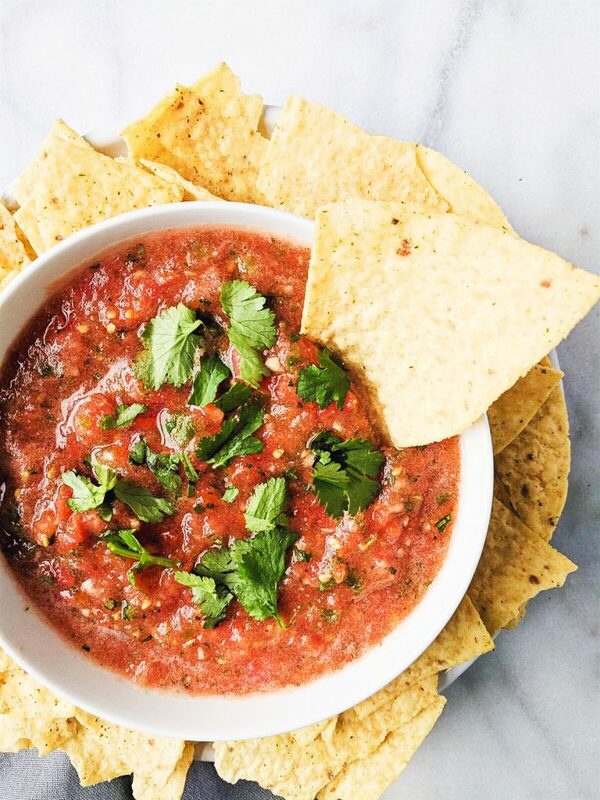 This salsa is amazingly simple to make and amazingly good! It’s great on tacos or eggs at breakfast! How long is the salsa good for on the fridge?